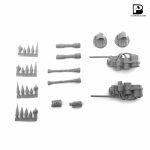 Kit includes 1 complete Prusack Scourge Mortar heavy support vehicle. 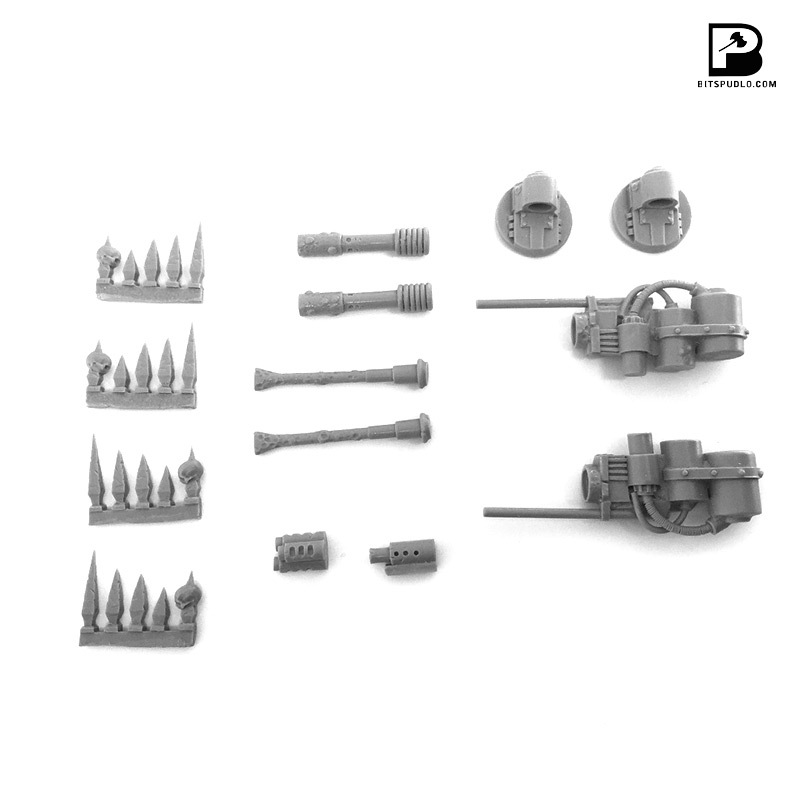 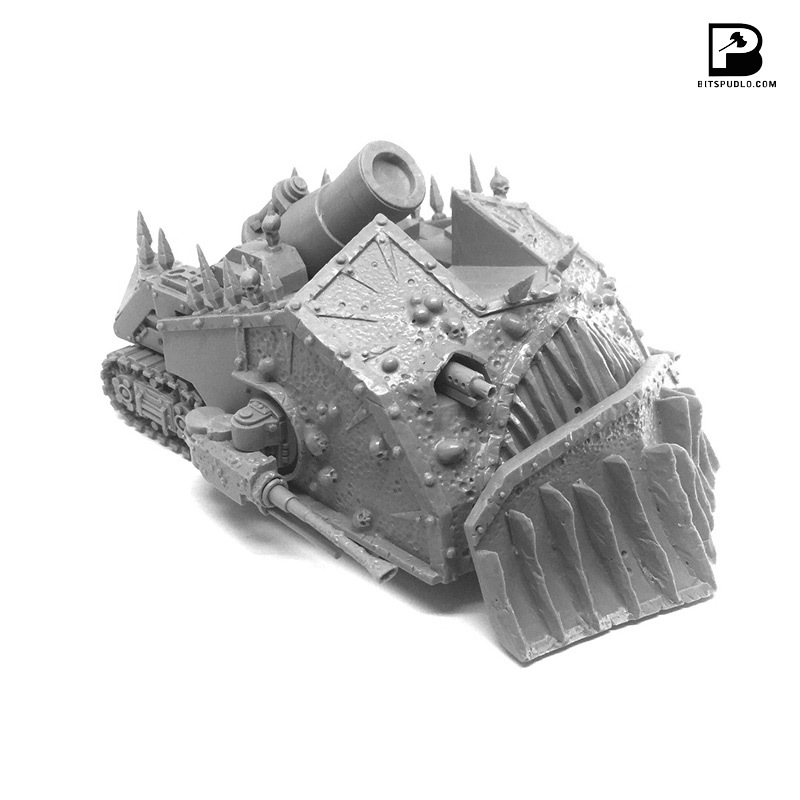 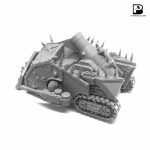 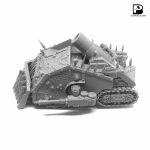 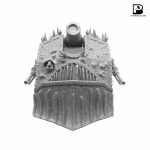 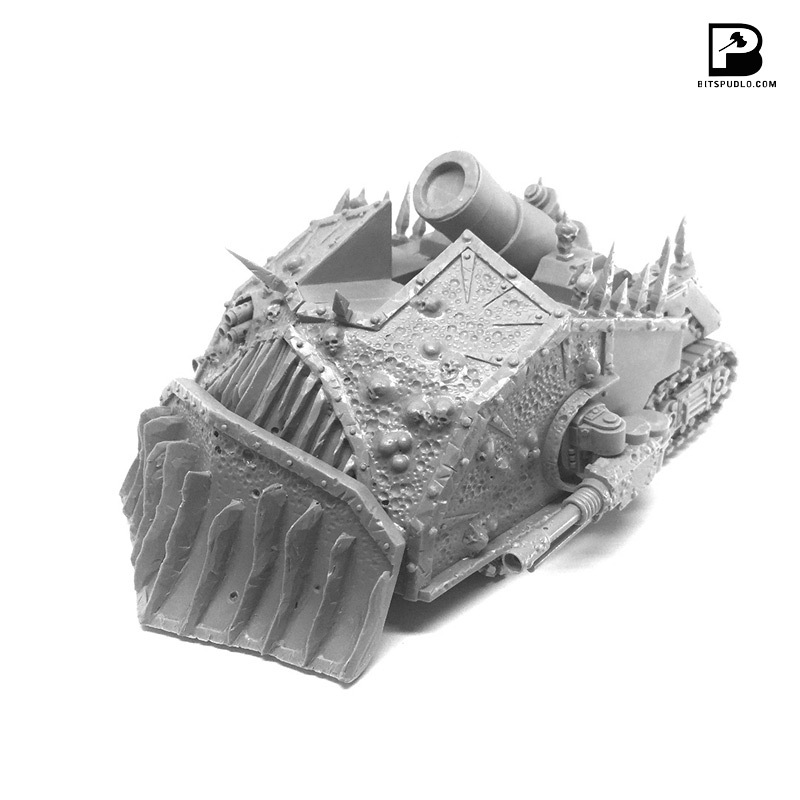 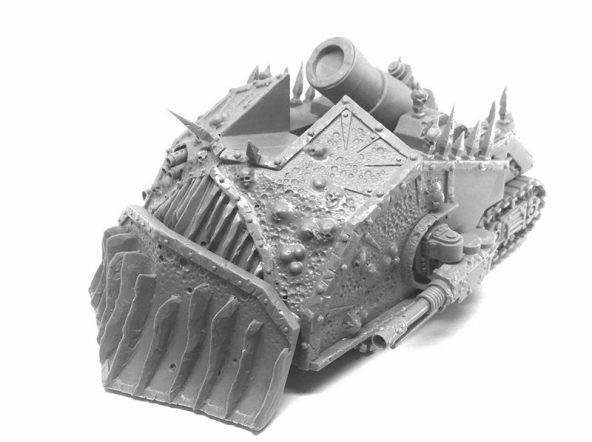 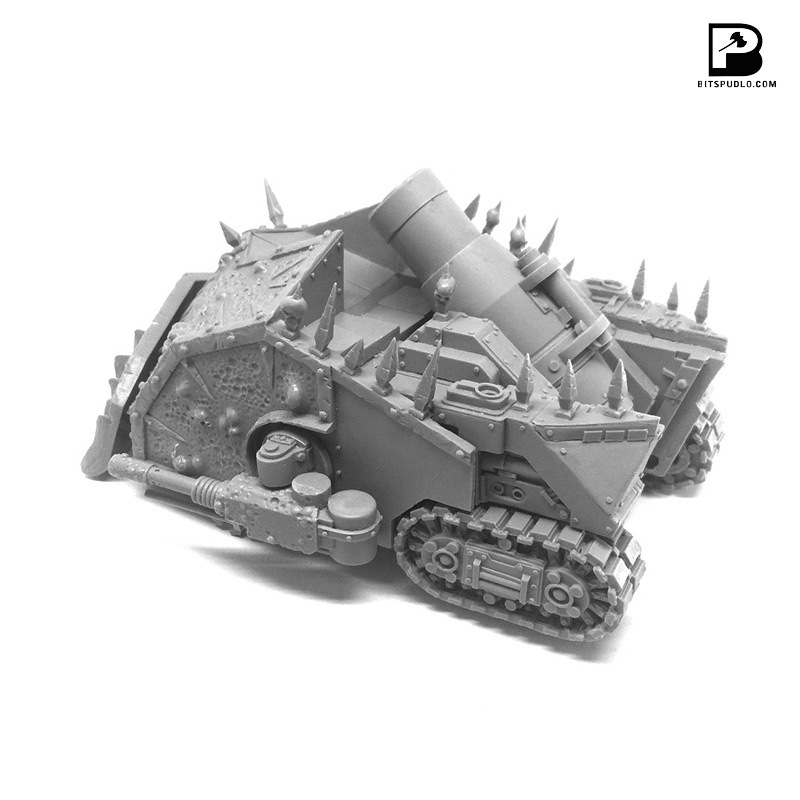 This kit includes all the weapons such us Corrupted Dozer Blade, powerful Scourge Mortar, 2 options of hull mounted support weapon – Triple Autocannon or Light Autocannon and 2 options for side weapons – Acid Sprayer and Atomizer Cannon. 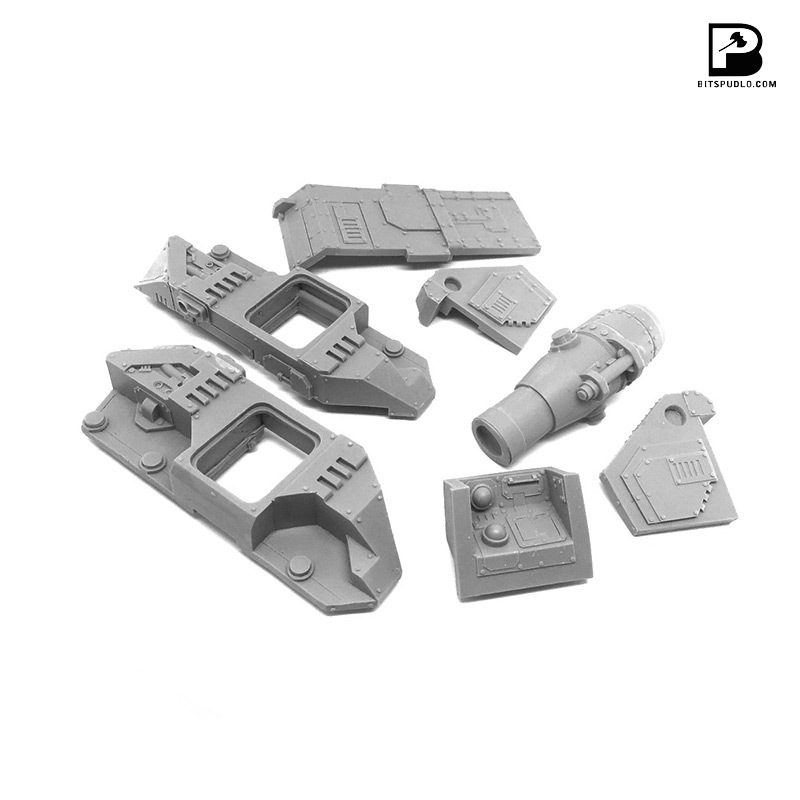 It is dedicated for experience modelers as pieces may need some cleaning and filling before assembling. 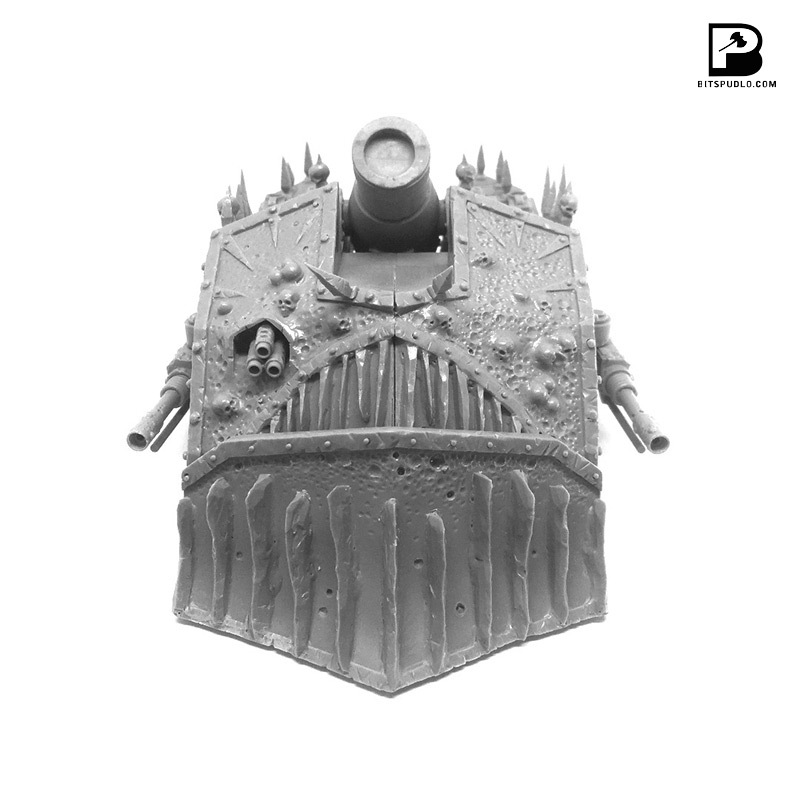 Master model by Hamster and Mateusz Gajos.